This pattern is the selection for theknitter.com August 2009 sock of the month club. 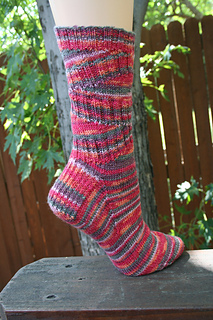 The Mica socks use short rows to make the stripes of the yarn build different levels of striation. 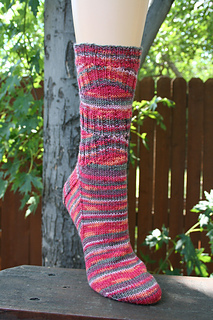 Mica is a shiny, striated rock, like these socks knit in this metallic yarn. The socks are knit from the top down with the leg being worked in part back and forth.